At its heart, wine is a communal experience. It is created to be consumed not as a solitary venture, but as a way of bringing people together. And at its best, it is about getting people to have open, authentic, and meaningful connections with each other. In Judaism, wine helps to sanctify sacred rituals and celebrate ordinary moments, transforming them into extraordinary moments. 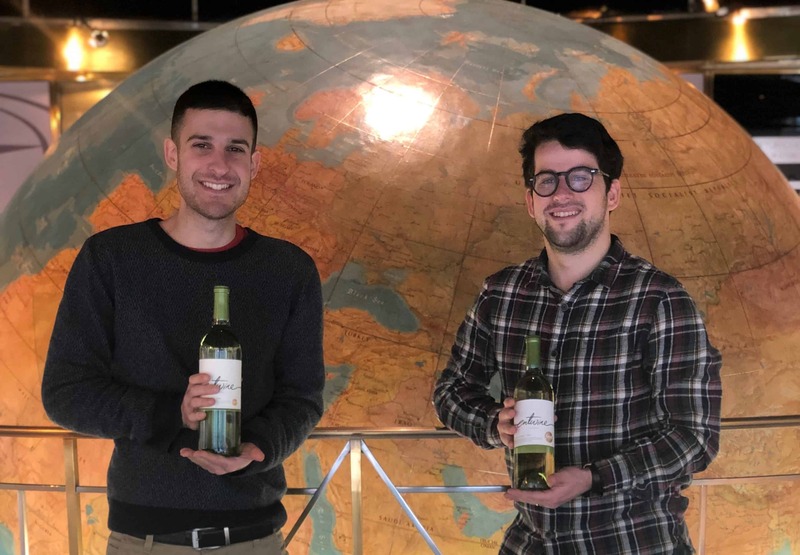 In that spirit, Entwine will celebrate JDC’s community-building initiatives through an exploration of global Jewish people, wine, and traditions at A Night at the EntWinery! (Click here to get your tickets for events in DC, NYC, LA, and SF). We sat down with Entwine’s own Jewish Learning Designer, Rabbi Joshua Mikutis, to get a behind the scenes exclusive. In his signature style and humor, Joshua shared more about the event, his favorite community project, and his best Georgian toast! 1) What is “A Night at the EntWinery” and how is this night different from all the other events on my facebook feed? Ma nishtana! The eternal question. Each night is a chance to try wines from three different regions: Latin America, the Balkans, and the Former Soviet Union. You will learn about where the wine comes from and the community-building work JDC does in those locations. You don’t have to be a wine connoisseur or fake feelings of nostalgia for what a good year 2007 was for California grapes. Just come, schmooze, learn, and get excited for a preview of what you’ll see traveling with Entwine to these regions in 2019! 2) Why are we featuring community building initiatives? This is a great way to showcase how JDC creates countless efforts to bring people together. For example, Active Jewish Teens (AJT) is a youth group for teens across the Soviet Union—bringing together Jewish teens from Moscow to Bishkek (if you didn’t have to Google that, you probably spent most of your undergraduate classroom time on Sporkle)– and it helps to build up individual Jewish identity through the context of being with others. Judaism is a communal religion, and JDC’s work helps to bring that vision to reality. 3) Which of the JDC community-building projects featured most inspire you? So many! I think I’ll go with the work we do in Argentina and throughout Latin America with women’s empowerment. Historically, women have not been represented in leadership positions in Jewish organizations in the region, and JDC is working on changing that. Through conferences that bring women together from across the Latin America, JDC is ensuring that women’s leadership is part of the communal conversation. This ongoing project will bring more and more women into decision-making, leadership positions in Latin America, and that is something work celebrating. 4) Anything else the world should know about “A Night at the EntWinery“? There will be toast competitions, wine scorecards, and wine (of course). We have lots in store, but the night won’t be complete without you! Join us this March and Celebrate JDC’s community-building initiatives in Argentina, the Balkans, and Georgia through an exploration of global Jewish people, wine, and traditions. Don’t forget to get your tickets for A Night at the EntWinery: DC (March 5), NYC (March 7), LA (March 12), and SF (March 14)!